Haven't stopped by your FarmVille 2 farm in awhile? Log in today through tomorrow to see what it looks like in the dark. And then get spammed by Halloween quest messages for hours! 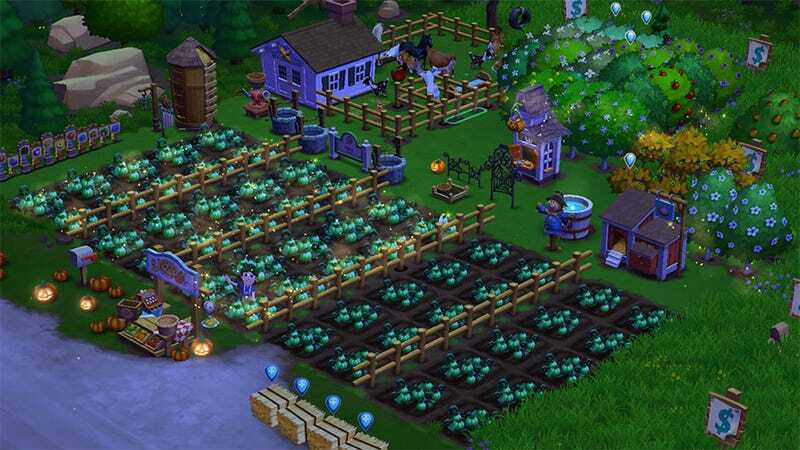 I've been slacking off on FarmVille 2 lately, what with so many nifty new Facebook games coming out that don't involve poking my friends every second. That doesn't mean I don't love all of my plants and critters (except that one damn goat - I hate that goat). It just means they'd all die if Zynga had thought to include the mechanic. I'd log in to the smell of rotting meat and a pile of skeletons.